(SYDNEY, AUSTRALIA) 7 November 2018: Thailand dealership Bangkok Harley-Davidson® have been crowned Grand Champions of the 2018 Battle of the Kings international custom bike build-off competition at EICMA, Milan. 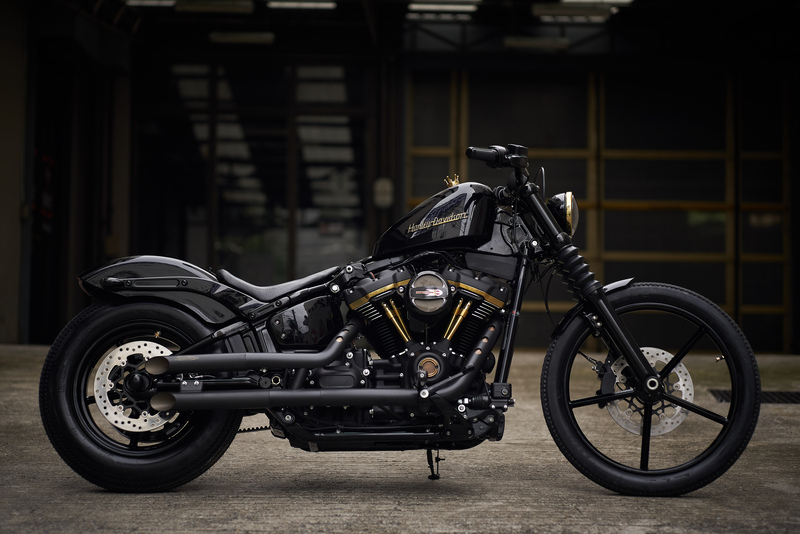 "The Prince" is a simple and contemporary interpretation of the classic chopper, based on a 2018 Harley-Davidson Street Bob. This was the first year that Thailand had been included in the competition which makes the Bangkok Harley-Davidson team's achievement even more impressive. Battle of the Kings is a custom build-off competition held throughout the Harley-Davidson dealership network. For the 2018 competition over 300 dealers from more than 30 countries entered, aiming to take out the grand title. 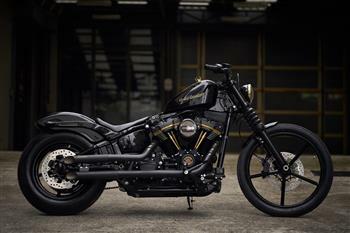 The three grand finalists selected to be displayed on the Harley-Davidson stand at EICMA included Adelaide Harley-Davidson, with their Roadster-based "Back to the Track", Bologna Harley-Davidson's "Farm Machine" and this year's Thailand winner, Bangkok Harley-Davidson's "The Prince". The task of selecting the winner fell to a seven-strong team from the Harley-Davidson Styling and Design division, led by Vice President of Styling and Design Brad Richards, who commented, "It was so close, deciding the winner. In the end the clean lines and beautiful engineering of 'The Prince' took it – but it was only by one single vote. This really demonstrates what is possible – and what are dealerships are capable of delivering. A huge congratulations to the team at Bangkok Harley-Davidson, particularly as this is their first time in the competition." Announcing the winner at EICMA and presenting representatives from the winning dealership with the 2018 Battle of the Kings trophy was Director of International Marketing, Steve Lambert, saying, "Battle of the Kings is a phenomenal display of the custom expertise available in Harley-Davidson dealerships around the world, and with over 300 entries from 30 countries this year's competition has been the most amazing yet. We had three fantastic finalists, each very different, all built to the same basic competition rules. When you look at the diversity of entries from around the world it's an incredible modern-day example of our custom heritage. Huge congratulations to all of the finalists, and especially to the team at Bangkok Harley-Davidson. What a fantastic achievement!" The Gold on Black theme was used to reflect a black leather jacket and chopper theme, with golden crown fuel cap and tyre valve caps playing to the nickname of the bike, "the Prince". Up close, the engine is highlighted by gold powder coating the pushrod tubes, rocker box inserts and air cleaner mesh. These parts are chrome-plated prior to powder coating to achieve the shining effect. The seat is reshaped and re-skinned in natural hide with yellow-thread-stitching for that golden effect. As one Custom King is crowned it is time for next year's competition to formally kick-off. For 2019 Battle of the Kings will be bigger than ever, as for the first time the USA enters the running to compete for the crown. With more dealers, a wider range of bikes available as donors this year – including Touring models - and more Genuine Accessories than ever before the world's largest custom competition goes truly global. Thailand winner, Bangkok Harley-Davidson's "The Prince".